Writer and activist Maya Angelou’s voice was so powerful, it still rings loudly across the globe. As we continue her fight for equality, her endless poems and autobiographies serve as pillars for how to progress the world’s social and political reality. 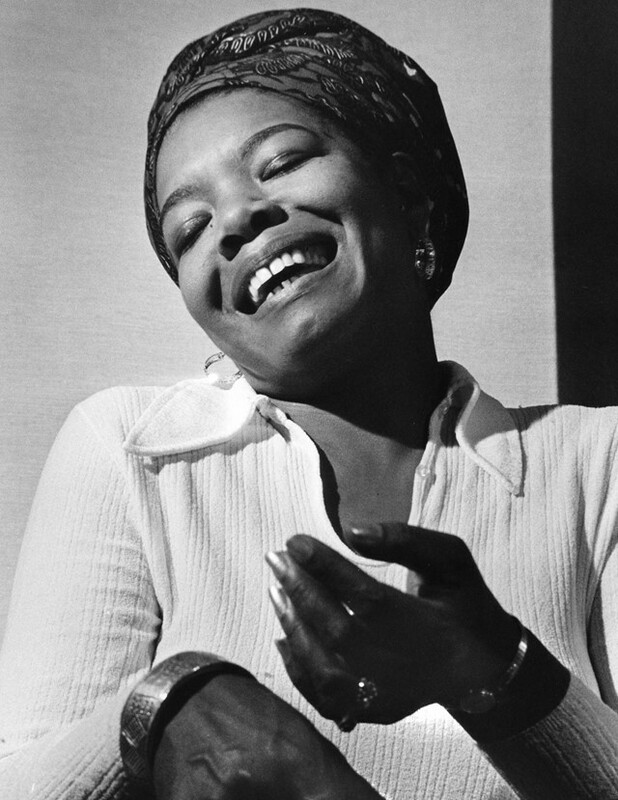 On what would have been the luminary’s 90th birthday, here is Maya Angelou in her own words. Unbeknown to most, in the early 50s – a decade before she would publish her first piece of writing – Angelou was an aspiring singer and dancer who gained a following by performing in local nightclubs in San Francisco. After marrying her first husband Tosh Angelos in 1951, she began modern dance classes where she formed a dance team with choreographer Alvin Ailey. They called themselves "Al and Rita", and performed modern dance at fraternal black organisations throughout San Francisco but never became successful. When Angelou’s marriage ended in 1954, she danced professionally in clubs around San Francisco, including the nightclub the Purple Onion, where she sang and danced to calypso music. It was this moment that pushed her towards her short career as a calypso singer. It was also at this moment when Angelou got her name. Up to this point in her life, she went by the name of "Marguerite Johnson", or "Rita", but at the strong suggestion of her managers at the Purple Onion, she changed her professional name to "Maya Angelou" (her nickname and former married surname). It was said to be a "distinctive name" that set her apart and captured the feel of her calypso dance performances. At at the height of the calypso movement in 1957, Angelou recorded her first and only album, Miss Calypso. In the five-song album, Angelou fuses jazz and Afro-Carribean rhythms to cover of Nat King Cole’s “Calypso Blues” and Louis Jordan’s “Run Joe”. 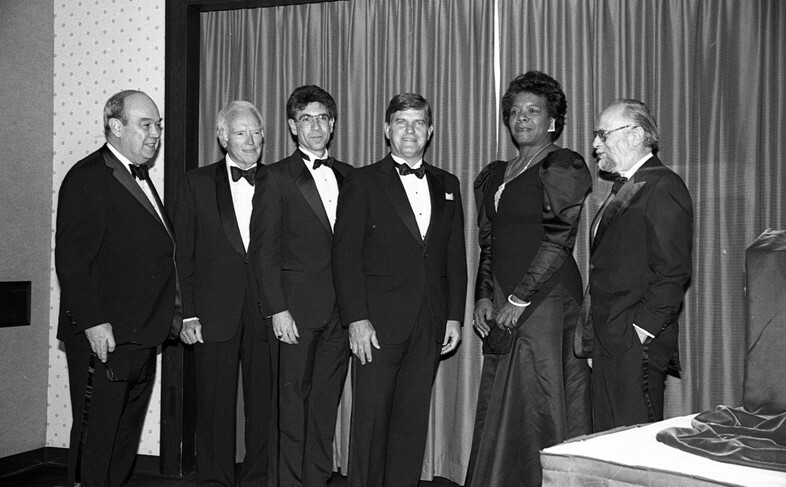 Angelou's short-lived music career also involved songwriting credits for two B.B. King songs. When Angelou was 49, she told the story of her childhood in her most well-noted autobiography, I Know Why The Caged Bird Sings (1978). Angelou’s first written profession was painfully honest and it changed the art of autobiography forever – illuminating the artist's lifelong commitment to rendering her own vulnerability in a bid to change the world. 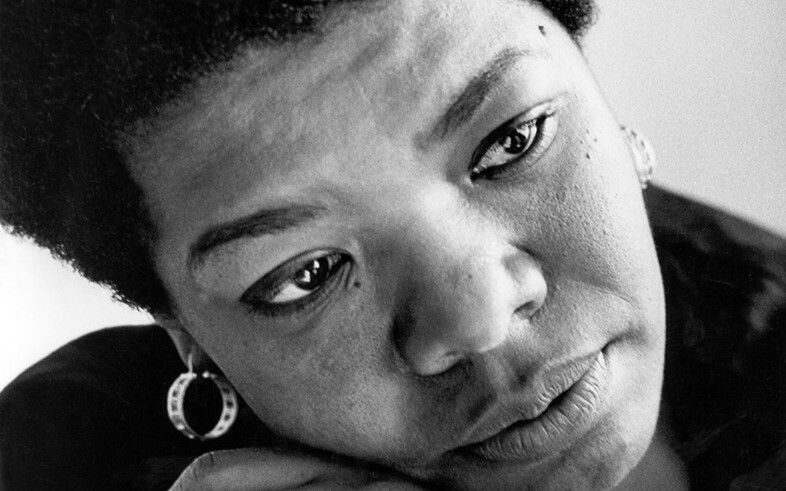 I Know Why The Caged Bird Sings tells Angelou’s coming of age story fused with elements of fiction, popularising autobiographical fiction while also reinstating African-American, female context in a white-dominated medium. 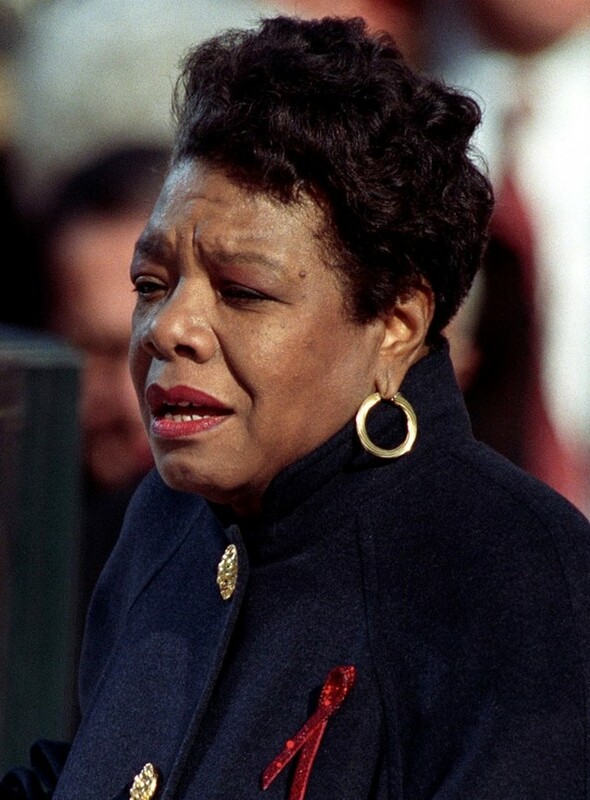 According to author and writer Hilton Als, up until Angelou came along, black female writers were so marginalised that they weren’t able to write themselves in as central characters in the literature they wrote. Angelou unapologetically revolutionised this by becoming one of the first black autobiographers that could, as Als put it, “write about blackness from the inside, without apology or defence.” Other notable autobiographies by Angelou include Wouldn't Take Nothing for My Journey Now (1993) and Even the Stars Look Lonesome (1997). ”I am the dream and the hope of the slave. And Still I Rise was Maya Angelou’s third volume of poetry published by Random House in 1978. It comprises of 32 short poems that all focus on hope and determination to rise above humanity’s hardships. “Still I Rise” (1976) is Angelou’s favourite poem from the series and it’s one of the volume’s most well-known poems. It shares the same title as a play Angelou wrote in 1976 and it refers to the unshakeable spirit of black people that is used to rise above racism and adversity. The impact of “Still I Rise” was felt so strongly, that Nelson Mandela read this poem at is 1994 inauguration, after having spent 27 years in jail. “Still I Rise” was recited by Munroe Bergdorf for Dazed in 2017. Angelou’s 1970s writings were immersed in a context of new feminism. When she published Caged Bird in 1970, a new context of black feminism was rising. In the late 60s, a number of black women refused to accept inferior positions in two leading civil rights groups, the Student Nonviolent Coordinating Committee and the Congress of Racial Equality. This caused a split between genders and so the New Women’s Movement rose: a feminist movement that was indebted to with the Civil Rights Movement. Angelou’s Caged Bird was published at a time when black sister leagues were being formed in America. On top of this, black women were forming groups to discuss their experiences of oppression under the patriarchy. A year before the Caged Bird was published, Black poet Sonia Sanchez introduced the “The Black Woman”, a course at the University of Pittsburgh and the first college course to focus on the experiences of black women in America. 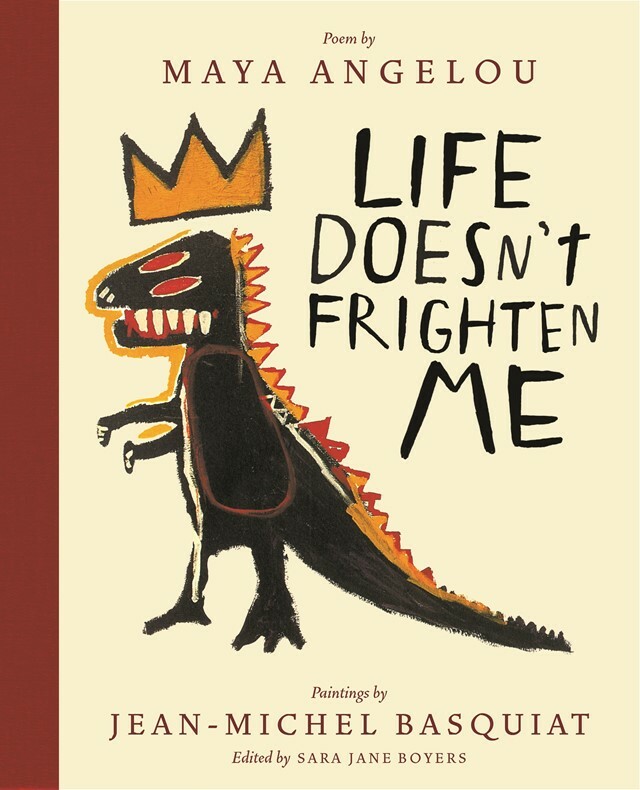 In a dream collaboration, Maya Angelou and painter Jean-Michel Basquiat made a children’s book titled Life Doesn’t Frighten Me in 1983 that was aimed at teaching us all how to tackle life and the world. Fusing Angelou’s signature style poetry with Basquiat’s cartoon-like drawings, the book summons monsters before yelling at them “LIFE DOESN’T FRIGHTEN ME AT ALL”. The book was made to create a “brave, defiant” tale that “celebrates the courage within each of us, young and old”.